Russia does not exclude preemptive use of weapons against [NATO] missile defense systems in Europe but only as a last resort, the Russian General Staff said on Thursday at a missile defense conference in Moscow. “The placement of new strike weapons in the south and northwest of Russia against [NATO] missile defense components, including the deployment of Iskander missile systems in Kaliningrad region is one possible way of incapacitating the European missile defense infrastructure,” Chief of the General Staff Nikolai Makarov said. Taking into account the “destabilizing nature of the missile defense system... the decision on the pre-emptive use of available weapons will be made during an aggravation of the situation,” he said. The projected European missile defense system could by 2020 have the ability to intercept Russian intercontinental ballistic missiles, Secretary of Russia’s Security Council Nikolai Patrushev said on Thursday. The United States and NATO agreed to develop the system at a summit in Lisbon in 2010, but talks between Russia and the alliance have floundered over NATO’s refusal to grant Russia legal guarantees that the system would not be aimed against Russia’s strategic nuclear deterrent. “By 2018-2020 - that is the third and fourth phases of the deployment of the Euro-missile defense in Europe – the continent should have enough anti-missile defense to be able to intercept part of Russia’s intercontinental ballistic missiles, and submarine launched ballistic missiles,” Patrushev said at an international conference on Euro-missile defense in Moscow. “The geographical regions and technical characteristics of these missile defense systems create the foundations for additional dangers, especially considering the current and future levels of high-precision armament of the United States,” he said. “Our experts say other targets, which could require serious missile defense against it, do not really exist,” he said. Patrushev said the creation of the Euro-missile defense, which is taking place without Russia’s agreement and will lead to a degradation of Russia’s nuclear deterrent, could lead to a disbalance in strategic stability at the regional and global levels. “The refusal to discuss the conditions for providing legal binding guarantees for the deployment system to be not aimed at Russia strengthens our convictions that the real goal of this missile defense system could differ from what is stated,” he said. 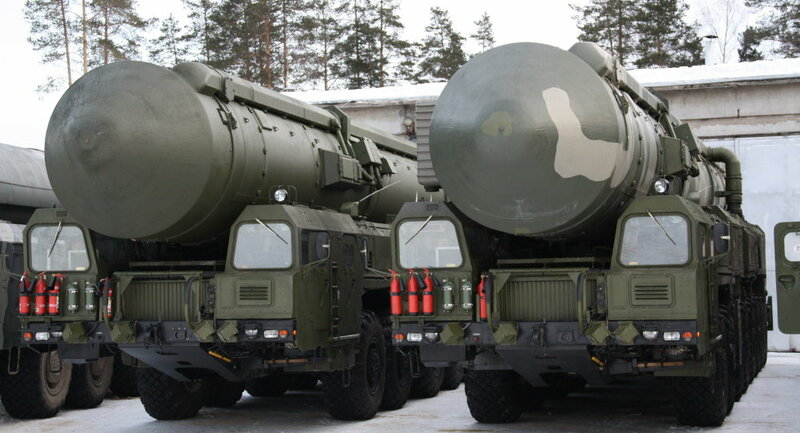 Russia’s military and political leadership has already warned its western partners several times that if talks fail, Russia may take a series of measures including deployment of Iskander short-range nuclear-capable tactical ballistic missiles in the Kaliningrad exclave. NATO denies its missile defense proposals are aimed at Russia. "In fact, we have no desire at all to disturb global strategic stability," NATO's Deputy General Secretary Alexander Vershbow told the conference. "Quite the contrary: NATO missile defense will be capable of intercepting only a small number of relatively unsophisticated ballistic missiles. It does not have the capability to neutralize Russian deterrence." The “Missile Defense Factor in Forming a New Security Space” conference has been organized by the Russian Defense Ministry. More than 200 military specialists and experts are taking part from over 50 nations inclduding the 28 NATO nations. As well as NATO and Russia, representatives of China, South Korea, Japan, the CIS nations and the OSCE are taking part in the conference.